There are a hundred places I could write about as great eateries, but this is my list of absolute staples. I don't frequent super pricey or fancy places often so those won't be listed. I love to go somewhere that feels special and justifies the cost. For me, that's with a cute setting and interior, as well as quality food and drinks. Heres a round up of places from brunch to a special occasion dinner that are staples in my little black book. 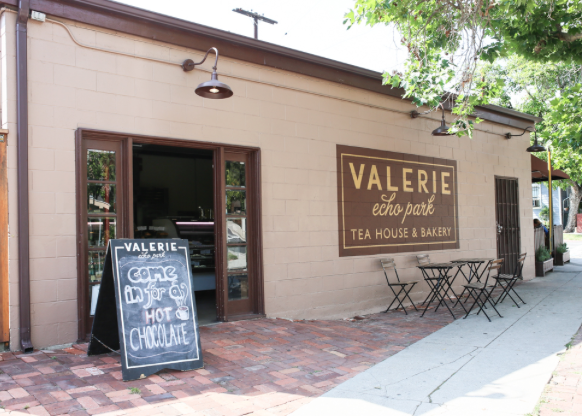 Valerie Confections is the type of brick and mortar that make people from out of town wish they lived in LA. Its equal parts unique, quality, low key, and just so dang cute. The coffee is from Stumptown roasters and the baked goods, confections, and brunch menu are to die for. Did I mention the eggs? That’s when you know a place knows what they're doing. The eggs say it all. You cant lose going to Valerie. Chay and I lived in DTLA for a year and we stumbled upon this place due to its close proximity to Bestia. Take my word for it when I say its worth going off of any low carb diet for the day. The Bread Lounge is a bakery and cafe that bakes all of its bread onsite daily. I love the Kouign Amann and Pistachio Danish. You gotta love the Ace. The downtown location is in a historical building and the details just add so much character. The restaurant and cafe on the bottom floor is quaint, cool, and inspiring. I want my kitchen to resemble the bar area! We used to have breakfast here on the way to our church, Hillsong LA. on Sunday mornings. Love this place. I freaking love this place. Located at The Sunset Junction, Cafe Stella is a french cafe that makes you want to redesign your home to be all things Parisian. Gorgeous bistro chairs and lights, bold wall colors, and great textiles, Cafe Stella is a perfect brunch spot to sit and enjoy the great food and atmosphere. I discovered this little gem two years ago when Chay and I were in the mood for brunch but wanted something different. Its tucked away down an alley in the Arts District with lots of seating and lush greenery. Daily Dose Cafe is definitely a neighborhood place where locals sit and chill for a while. I wrote about how much I loved this place in my coffee faves, but the food is so good I had to include this in as a brunch spot. I love when a place can master many things, and BD is on point with food, drink, decor and location! Its an experience coming here due to the whimsical interiors and quality vegetarian eats. On La Brea avenue in the center of the design district is this delicious neighborhood Bakery+Cafe. Culinary power couple, Karen and Quinn Hatfield, created The Sycamore Kitchen as their second restaurant, to be exactly what you crave. A great sandwich on homemade bread, a fresh out of the oven pastry, or just a cup of great coffee. This place is a constant staple of mine. 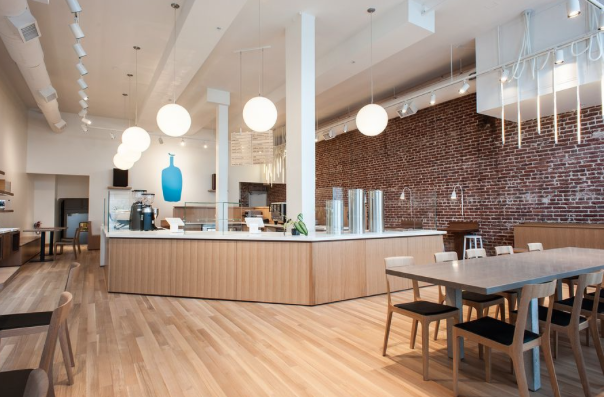 Although primarily known for its coffee, Blue Bottle has a fantastic breakfast menu. Chay and I love grabbing a quick bite as we take Cookie, our Vizsla pup on walks. The avocado toast and waffle are so good! In this list you will find mostly gourmet marketplace/cafe options with an exception of a couple restaurants I just love too much not to include. Los Angeles does casual, healthy and quality so well you can't lose trying any one of these places. In addition to being seasonal and locally grown, the food options at these eateries won't disappoint. The Pali Hotel is a must see even if its just to grab a quick coffee and snack. It is beyond charming and inspiring with every detail thought of and accounted for. Everything from the fixtures, tiles, wall colors, and flooring. The hotel restaurant, The Hart and the Hunter, is the perfect location for a girls lunch with delicious and hearty salads, great coffee and tea selection, and a beautiful aesthetic to enjoy while you catch up. I love this plant based Mexican food spot in West Hollywood for a casual meal with girlfriends. 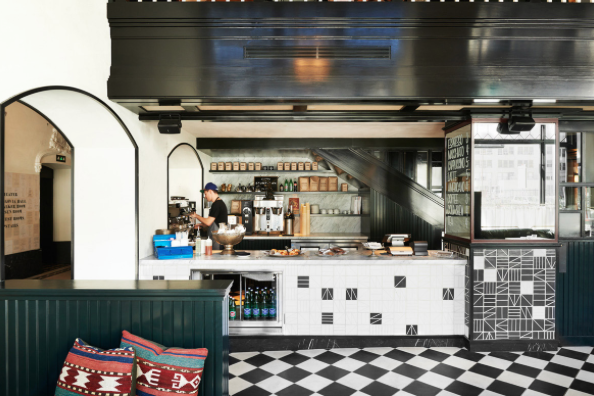 Garcia Madres interior is gorgeous with cement tiles and a clean California modern feel to it. The food makes you think you could easily go vegan which is clearly a testament to how good it is. Also, the cheery "instagrammable" cocktails are a must for a great girls night. Gjusta is easily a main stay for Venice beach residents. 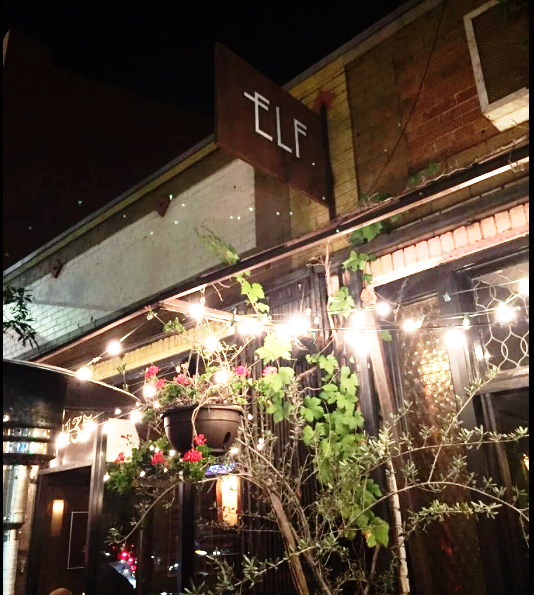 Its casual, quality, and has tons of options ranging from savory salads and sandwiches to steak frites and fish plates. This cafe+ bakery is one to frequent again and again! This gorgeous cafe in DTLA's Arts District is a favorite of mine to take a respite from the hustle and bustle in its tranquil courtyard. I love a place where you can order at the front and choose from tons of sides and salads to customize your meal, or choose a favorite off of the main menu. Bar Mateo, a somewhat new addition to the back of the cafe, features cocktails and al-fresco dining options to enjoy in the olive grove. A must when in DTLA! This tiny little cafe on Sunset Blvd. in Silverlake makes eating seasonal, high quality, and delectable food affordable, quick and easy. Go online and see what Forage is serving up that week and read about their mission...to find a balance between "inaccessible and inedible". Love this place. If you love authentic and no fuss French cuisine, Petit Trois is the place for you. It's a small restaurant with only bar seating, so its recommended to go with a small group of no more than 4, but I prefer just 2. The decor is oh so French and oh so chic with distressed and richly veined white marble, a gorgeous dark wood bar, and black and white floors. Definitely not a" sceney" place, so don't go expecting those who want to see and be seen. Just fantastic food with a low key and authentic French aesthetic, A new all time favorite of mine. Everyone loves "Joans" . The gourmet marketplace and restaurant has "a commitment to delectable offerings, sophisticated décor and exceptional service in all that [they] do." Now this is a place to see and be seen! Its on West 3rd street, a hip and energetic area of West Hollywood that attracts all types from celebrity to agent to the average Joe. Go to buy some cheese and meat for a party you're hosting, or grab lunch with your friends. It's the perfect place to peruse and catch up. LOVE JOANS! 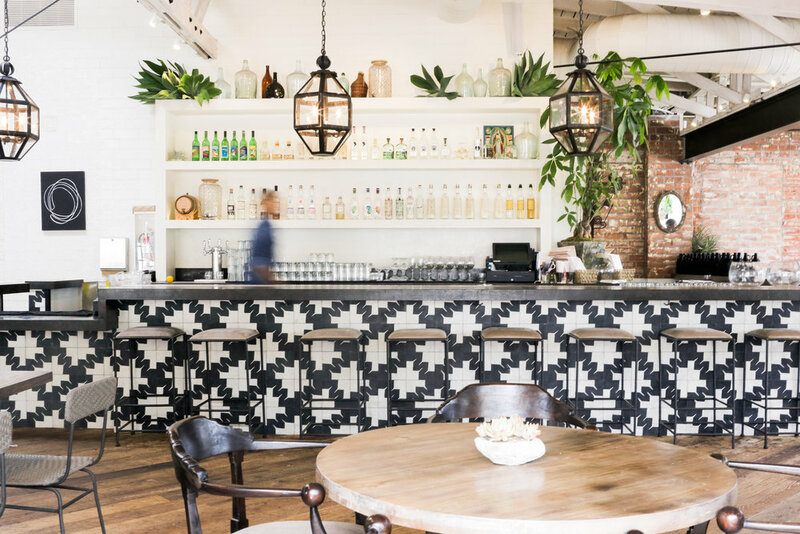 On the border of Venice and Santa Monica is Rose Cafe, an airy beach city restaurant serving Southern California cuisine with dreamy interiors and a friendly and spacious outdoor area. There is also a beer garden, full Verve coffee roasters coffee bar, and market. Can you tell I love the concept of a marketplace inside restaurants? It's a staple of mine when in the Venice area. Huckleberry is one of my favorite all time lunch spots in LA. It's definitely a spot for food lovers that appreciate a casual and cozy atmosphere, which I am to the max! I always order the trio salad where I customize the sides I want. The roasted carrots are amazing! Also, be sure to grab some of their pastries to take home to hubby or the kids. There is a large assortment, all absolutely delicious. I tend to keep my dinner options as the places that don't feel as casual as lunch because I am paying for an experience vs. grabbing great quality food on the go... a reason I rarely get takeout from nice places, because to me, atmosphere is half the cost. This list is comprised of worthy dinner spots you'll revisit again and again. The Factory Kitchen is a staple for my husband and I. Homemade pastas, appropriate portions, and a cool yet warm atmosphere make this a date night staple. Just go. There is a reason why it takes months to get into Bestia. It's impeccable. Truly, its an experience. I suggest you bring friends who appreciate fantastic food and wine because it is on the pricier side. Try as many pastas as you can, especially the bone marrow pasta. After, for the fun of it, get the bone marrow luge where your waiter pours a strong spirit through the hollow bone into your mouth...very fun! 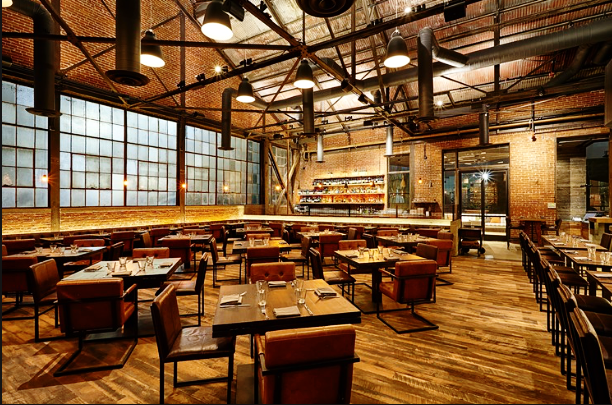 It's no wonder this place is considered a "meat speakeasy" by Food and Wine magazine. 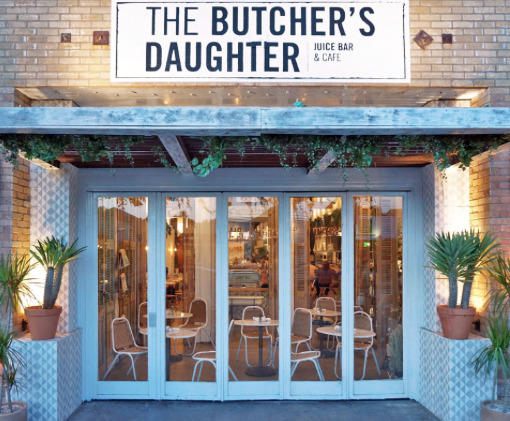 People who know good food, and more specifically, good meat, go here. Chi Spacca is pure QUALITY. Opened by the same owners of the other Melrose and Highland eateries (Osteria Mozza, Pizzeria Mozza, Mozza to go), Chi Spacca is in good company. My current number one favorite. 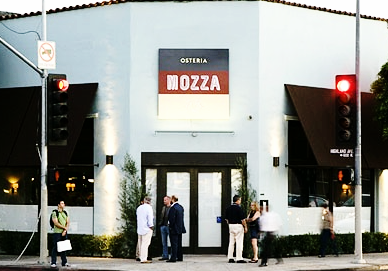 Osteria Mozza is perfect for a special occasion dinner. We drool over this place. The mozzarella bar is heaven! I rarely eat dairy products but will totally make an exception for the best. It ranks in my top 2 restaurants in LA if that gives you an idea of how good it is. Note: If you're looking for a casual and down to earth place, this isn't the place.. It can feel a bit stuffy at times but the food is way worth it. The best sushi in LA. I mean, I can't be sure since I haven't tried every place, but its without a doubt the best I have had. Sugarfish focuses on "simply good fish" which you would hope is the focus of every sushi place, but it's not always. The fish is buttery and melts in your mouth, not chewy or stringy. For the price, it can't be beat. If you like queso dip, and who doesn't, you'll love Bar-Ama, and so will your man! With options ranging from cauliflower and cilantro pesto to blistered brussel sprouts as sides, to short rib chalupa to peel and eat shrimp, Bar Ama brings tex mex to a whole new level. This is my comfort for classic. Same Owner as Bar-Ama, different food. Baco Mercat's menu is inspired by the cuisine of Eastern Mediterranean, North Africa, Southern Europe, and Asia. The Baco, the signature flatbread sandwich, is their famous dish offered in a variety of options from crispy pork belly and carnitas to fried shrimp. Totally worth making a trip to DTLA for. If you are a vegetarian, this is the place for you. Elf is a quaint little bistro off of Sunset blvd. in Echo Park that has cozy and warm vibes. Perfect for a rainy evening. Also, don't let the fact that it is vegetarian fool you. The food is creative, seasonal and so fresh. It doesn't matter if you're a meat eater or not, this place has something delicious for everyone. I love this place! 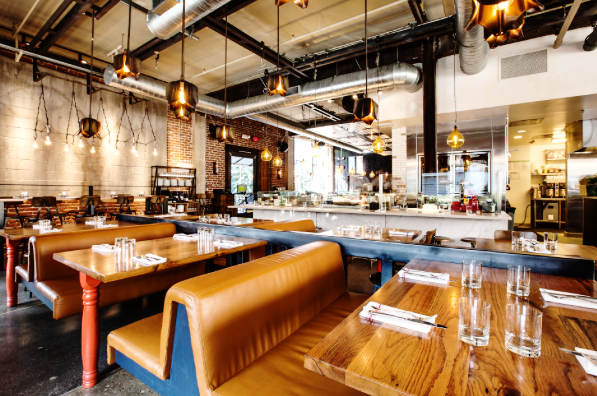 Down the street from my casual favorite, The Sycamore Kitchen (and owned by the same people), O&P is a modern American Churrasco with a casual yet sophisticated vibe. My husband loves coming here because the ribs are insane and the warm cheese puffs would make anyone drool. I highly recommend this place for a date night that feels casual but delivers a great ambiance and experience. The Stocking Frame is the ultimate comfort food/craft cocktails pub! Located in DTLA, we used to walk here all the time from our apartment. The setting is striking, with an old brick building housing this place, vaulted ceilings, and rustic touches everywhere you look, you feel right at home here. Get the skillet nachos and brussel sprouts! 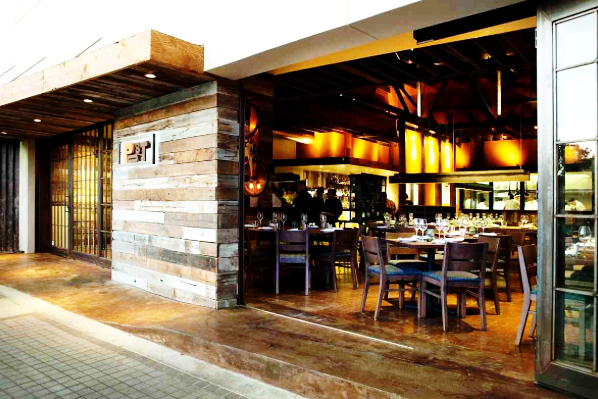 Located on Barrington and Wilshire in Brentwood, Bandera is inconspicuous. It doesn't need a sign out front as its a neighborhood favorite and always packed. Serving American meets Southwestern cuisine, whats not to love about cornbread skillets and homemade quest dip? This place will become your eating out staple. Owned by the same people that run The Factory Kitchen, Officine Brera is the more upscale version that serves Northern Italian cuisine. Come here for a gorgeous atmosphere that feels romantic and hip all at the same time. Note: The trattoria is in the arts district so it may feel like you're not in the right place, but follow the directions and you'll get there. MB Post put the Manhattan Beach food scene on the map. It is run by well known chef David LeFevre. The artisanal small plates menu and hand crafted cocktails make this the ultimate girls night or Friday night social hang. Just a couple blocks from the beach, MB Post is a hot destination in the beach cities. Definitely try the cheddar bacon biscuits! Sometimes too many options can be overwhelming, which is why I love the simple and straight forward menu at B.S. Taqueria. Described as "authentically inauthentic" Chef Ray Garcia keeps with the staples of Mexican cuisine, while adding his flare for bright, bold, and flavorful ingredients. Try the clams and lardo tacos and save room for the best tres leeches cake in LA!